← Have you Heard about the High School Video Network? Great Deals to Keep You Cool! 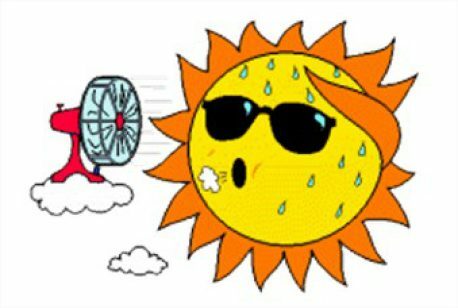 We know that in many parts of the country, it’s still sweltering out there! That’s why our top merchants are offering fantastic savings on the best quality fans and ac units to keep your home cool and comfortable all summer long. This Vornado 3-speed high velocity fan from Lowe’s is only $79.99 and moves air up to 80 feet. It also offers the option of a horizontal or vertical air flow and its vortex circulation moves all the air in the room. Or, for something even more powerful, get $20.00 off the 5200 BTU Kenmore window air conditioner from Sears. And with free in-store pick-up, you don’t have to waste one extra minute in the heat! With its 24-hour on/off timer, 8-way air direction control, 3 fan speeds and remote control, this ac unit is powerful, efficient, easy to use, and guaranteed to keep you cool for this summer and many more. If you want to bring the comfort of the indoors to your yard space, this garden oasis 10 ft. X 12 ft. gazebo protects you from the elements while still offering you the peaceful solitude of being surrounded by nature. With its strong mosquito netting, UV resistant fabric, tough steel frame, and a roof designed for all season use, you can use this gazebo for dinner parties, summer cookouts, or simply ultimate relaxation. And with a savings of $180.00, summer luxury has never been more affordable! So whether you choose to spend your summer days indoors or outdoors, be sure to visit K12Rewards for the best and most affordable ways to keep cool and comfortable!